When Do I Use Clicker Training? Why is Clicker Training Considered Advanced? Clicker Training revolves around using a small, easy to hold object to signal a correct behavior. When your dog performs the correct behavior, the clicker is pressed, making a small, distinct noise. This noise informs the dog that it has performed correctly, and reinforces the behavior. The concept itself is very simple, but the execution can be more complicated than pet parents imagine. This article will explain how to begin and perform Clicker Training, show how it works, and give tips on how to master this more advanced form of training. Clicker Training works by building an association between being rewarded and hearing the clicker. Dog thrive off association, so we use this to our advantage by making something that is easy to replicate into a positive for them. By building the association between the ‘click’ and ‘reward’, every time they hear the Clicker, they will think the noise itself is a reward. This is the same conditioning originally used by Pavlov when he made dogs drool by ringing a bell. He rung a bell every time a dog was given food, so the dogs began to associate the bell with food. Building associations like that is easy with dogs, which is why clicker training is so effective. Clickers are easy to handle, too, so I recommend getting a few to keep with you during training. You only need them during training new cues, not all the time, so if you are worried that you will have to carry a Clicker 24/7, rest easy. The process here is called ‘Loading the Clicker’. 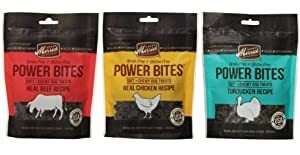 Before you begin the training, get a Clicker, and some high value treats for your dog. Press the button on the Clicker so your dog can hear the noise, then immediately give your dog a treat. Repeat this anywhere from four to eight times, then let your dog reset and do something else. This will build the association between ‘click’ and ‘reward’. After a few minutes, call your dog back over, and repeat. Your dog will start to realize that a ‘click’ means something good is happening, and will try to perform actions that get the ‘click’. Anytime you start a round of Clicker Training, make sure to reload that Clicker in the same way, just to remind your dog. Once your dog has built that association, you can begin Clicker Training. Clicker Training should only be used for new cues that your dog does not know yet. While Clicker Training is great for learning advanced cues, like turning on a light switch or opening a door, you want to start slow, so your dog can get a handle on it. An easy first cue to teach for Clicker Training is Bring. This cue allows for games of fetch or asking your dog to pick something up for you. To begin, start with something your dog already enjoys picking up, and set it on the ground. When your dog picks the object up, give them a ‘click’ and watch for their reaction. If they perk up and look towards you, then they know they have picked the right action. Once they get a click for picking it up, try holding your hand out for them to Bring the object to you. If they start to walk towards you, ‘click’ again, and give one more ‘click’ if they place the object into your hand. Step by step, the ‘click’ tells your dog they are taking the correct actions. Once your dog is offering the behavior by picking the toy up and bringing it to you, you can introduce the cue word. In this case, the cue word would be ‘Bring’. The moment your dog places the toy into your hand, click once more and say ‘Good Bring’. This will teach the dog that the action of picking something up and bringing it to you is linked to the word ‘Bring’. Continue practicing this way, until you can say the word ‘Bring’ can have your dog pick up and give you the object. At this point, you no longer need your Clicker for this cue, and can begin work on the next cue. As you can see in the picture, Leo the Border Collie will bring anything he is told to using this cue. For advanced cues and behaviors, such as opening a door or bring a specific object out of many, you will need to set up a step by step plan. Your dog cannot learn an entire multi-step cue all at once, so you have to teach them the steps, one by one. For example, if you wanted to teach your dog to open the fridge, get something out, and bring it to you, you would begin with the first action – opening the fridge. Put something the dog enjoys on the fridge handle, like a rope toy, and ‘click’ when they grab it. Then ‘click’ when they pull and open the door. Taking it step by step like that would help the dog both learn a new cue, and learn to look and see what you might want them to do next. Clicker Training can be used for almost anything. Clicking when a new puppy goes to the bathroom outside, or Clicking when a dog picks the right toy to play with instead of chewing on furniture are more examples of how Clicker Training can benefit any dog. Clicker Training is for use anytime you are in an active training session with your dog. On a walk, at home, or in a dog training class with a professional trainer are all good times to have your clicker on hand. However, if you are not currently training, and are just relaxing at the house or playing with your dog, a Clicker is not needed. A Clicker should only be used to teach new cues and behaviors. If your dog already knows how to do something consistently, there is no need to use a Clicker for that behavior. This prevents any confusion from your dog. There are a few myths about Clicker Training that inexperienced trainers and new pet parents may have heard. 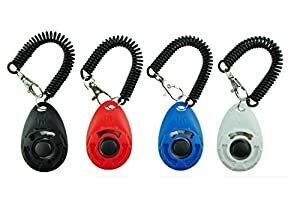 The most common is that you always need a Clicker on hand if your dog has been Clicker trained, and that is incorrect. The Clicker is only on hand during training new cues. The second is that Clicker Training is useless in loud areas, because your dog will not hear you clicking for recall or attention. This is also false, simply due to the fact that Clickers are not used for recall or cues, only to mark the correct behavior. While Clicker Training is an effective tool for training dogs, it does come with a few drawbacks for inexperienced trainers and pet parents. The biggest obstacle to overcome is the timing of the Clicker itself. Using a Clicker properly requires the correct timing, and the ‘click’ has to occur the moment the dog performs the action. Clicking at the wrong time, for the wrong action, or too frequently will confuse the dog, and result in the wrong behavior being marked as correct. If you are using a Clicker and miss the moment to ‘click’, do not try to mark the behavior late. It is better to not click at all than it is to click late. Another hurdle to cross is the Clicker itself. Some dogs may be noise sensitive, and the Clicker may startle them. While other noises can be used as a substitute, there are many different types of Clickers. Getting a Clicker with a softer tone rather than a harsher one may work for sensitive dogs, while some dogs do just fine with a louder, clearer tone. Lastly, it is important to load the Clicker properly, using a higher value treat that your dog will enjoy. The stronger the scent, the better the treat, so pick something your dog will want more than anything else. A high-value treat will speed up the training considerably, and having a variety will keep things interesting for your dog during training. Just remember that treats should never be more than 10% of a dog’s daily intake. Clicker Training is a fun, involved style of training that builds focus as well as teaching new cues. The engagement in between the dog and pet parent during Clicker Training help build that relationship, giving them a happier and better behaved dog. Always remember, nothing beats working with a professional trainer, and any good Positive Reinforcement trainer will know how to properly perform and teach Clicker Training. Nothing has been proven to work as effectively as Positive Reinforcement, so make sure your trainer does not use pinch, choke, or shock collars in training. With a little investment and some hard work, Clicker Training can work wonders for you and your dog, so give it a try! Thomas Wipperman is an AKC certified dog trainer and has been training dogs since 2011, worked with over 3,000 dogs. All of his methods rely on Positive Reinforcement, taking cues from the most up to date dog training theories, and he currently lives in Nashville with his two dogs, Audie and Leo, and especially enjoys working with herding breeds and rescue dogs. He works will all breeds, including purebreds, mixed breeds, and even designer breeds, having trained dog for songwriters, professional athletes, and celebrities alike.